Crescendo! provides fun and creative Kids Notes at each Boston Philharmonic Concert. This complimentary booklet features musical activities, information about the orchestra, and kid-friendly program notes on that night’s concert. The initiative expanded in 2013 to provide the Kids Notes Upbeat Series— Pre-Concert Talks for Children! 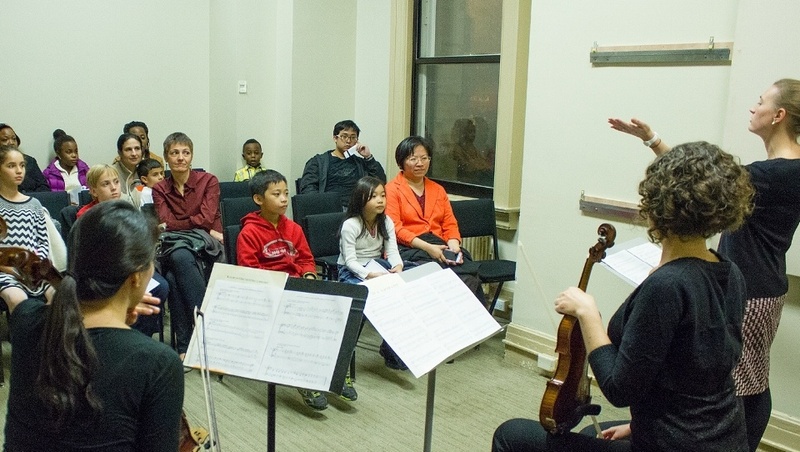 These 20 minute pre-concert talks at Jordan Hall help prepare kids for the concert program through interactive musical experiences, discovery activities, and hearing a live BPO orchestral musician. The inaugural Kids Notes Upbeat took place on Friday, October 25, 2013, led by BPO Fellow Danielle Williams and featuring guest Boston Philharmonic cellist Aristides Rivas.